So I'm trying to create a standing seam zinc panel surface mateiral for a model I'm working on. I've tried using a bump to fake it however I want to demonstrate the shadows that will be created on it. I thought about creating actual 3D objects that would be the seams, but that wold be incredibly memory intensive for how extensive the model is. And now I'm trying Displacement maps... however I get all this noise and vanishing in and out of the map etc. I created the displacement map in Illustrator with plain black and white, no gray, lines crossing the map. I don't know what the problem is. Troubleshooting: I have DMC noise to 0.01 and imaging samples higher than they should be as well as turning off reflection/refraction layers. Still to no avail it's bleh. Is there an easier way to do this? 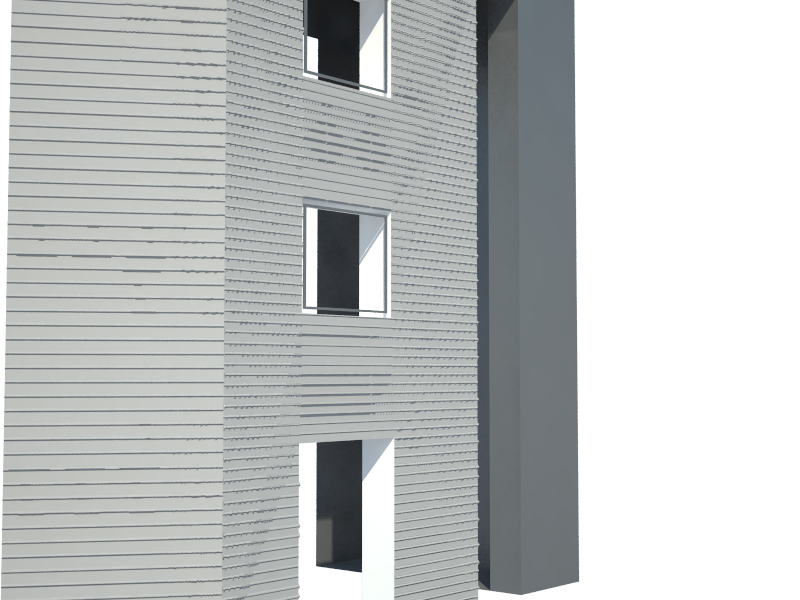 I'm using Rhino + Vray 1.5. Thanks!